There is only one thing to say about this cream and that is this is absolutely the best lemon ice cream ever! It’s not too lemony, it’s not too sweet — just the perfect combination of both. My family LOVES homemade ice cream, we have been making it for as long as I can remember. In fact, you could probably consider us homemade ice cream connoissers, so when I made this and took it to a family party last year, everyone went crazy over it. It really is amazing. I have so many yummy ice cream recipes that I can’t wait to share. 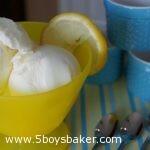 I saved this lemon ice cream recipe from the newspaper a couple years ago (see, my mom has rubbed off on me). The lady who shared it said it’s her mom’s recipe and according to her mom, you must put the ingredients in the order they are listed and the cream MUST GO IN LAST (those were her mom’s exact words). Maybe that’s the secret to this stuff tasting so dang good! Make it for your next BBQ, make it for dessert tonight, make it just because I said so . . . .you won’t be sorry! Add ingredients to your ice cream freezer in the order listed, making sure you put the cream in last. Stir until well combined and freeze according to your ice cream freezer's directions. Wow this looks amazing! YUM! I can’t wait to try this. Melanie, you will love this! 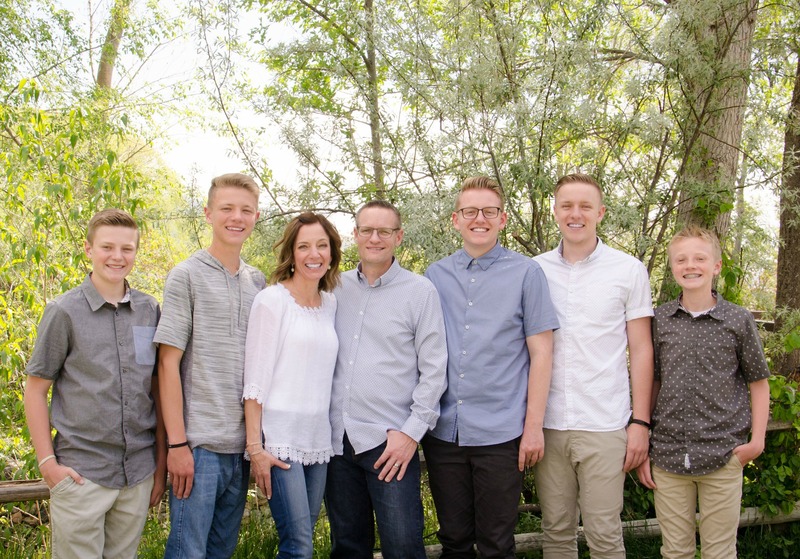 Hope all is well with you and your five boys! So creamy and yummy!! There is nothing like homemade ice cream! I couldn’t stop eating it even when my stomach was hurting and I was about to pop! I absolutely love this ice cream. I just made it over the weekend, I guess we think alike. I definitely need to repost and put some new pictures up, the photos in all my older posts are painful to look at :)!